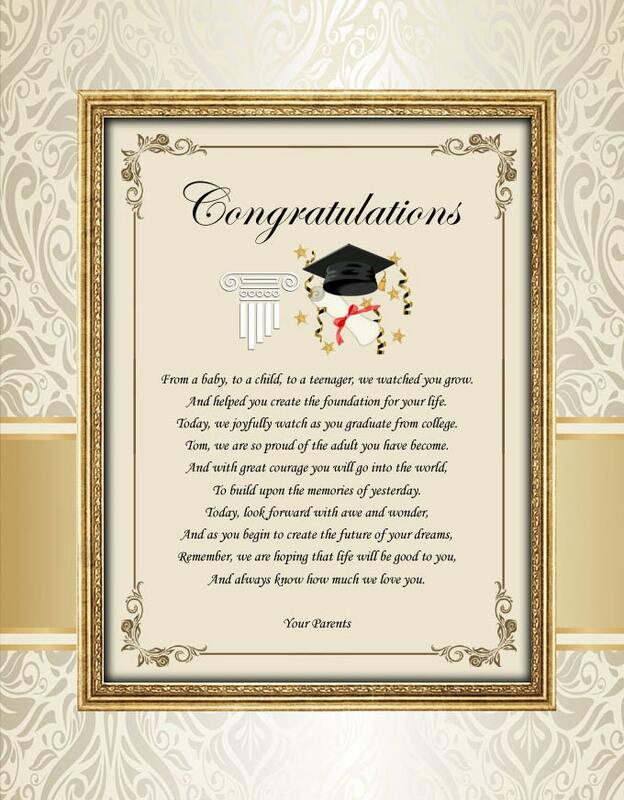 Celebrate the college or high school graduate with our personalized congratulation graduation poem print. 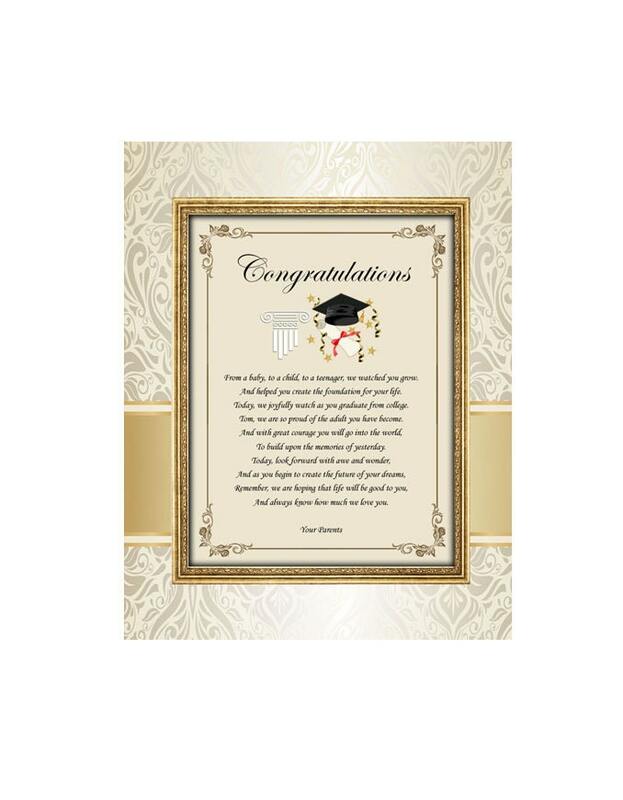 The personalized congratulation graduation poem imprinted on the picture mat compliments the traditions use of superior contemporary designs. This poetry wall frame gift beautifully highlights the meaningful poetry message that have sentimental value to the high school or college graduate and will make a lasting impression of achievement. By fusing a congratulation poem into a plaque with a touch of personalization, the end result is a really nice distinctive and unique grad gift for him or her on their graduation from parents.